"A Winter Eden" -- such a positive title, but the poem leaves us with a wistful, if not somber, mood. It's not that the little winter garden isn't Eden under a sunny sky; it's that the time of light and activity is so short that the speaker casts a bit of doubt on whether it's worth one's while to get up at all. Robert Frost's winter poems, as a body, give quite a mixture of images; some highlight the season's beauty, others its harshness. 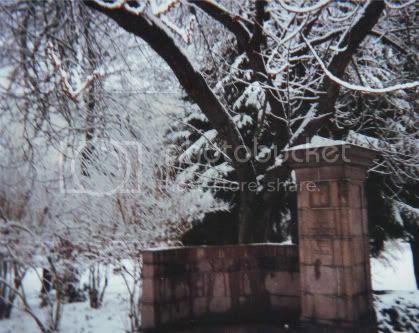 "A Winter Eden" includes some very contrasting images.